When most of us refer to inspection, we are thinking of running machines inspected routinely, say on daily rounds. Unarguably, this type of on-the-run inspection is critical to machine condition monitoring, but other types of inspections are important as well. At its best, inspection seeks and finds the “precursors” to failure, also known as root causes. This is job one, for sure. Next, inspection must hunt down those elusive incipient failure conditions (the earliest detectable state) that can be as difficult as the sound of a “pin drop” for our senses to detect. The time horizon when inspection should incur spans from cradle to grave. I’ve emphasized in past columns that Inspection 2.0 is a continuous state of vigilance. The moment you let your guard down is exactly the time when the enduring Mr. Murphy makes his entrance. To fend off risk and vulnerability, the wise and reliability-intensive organization performs inspection across multiple states. Keeping spares and standby machinery in a prime, healthy state can be a daunting task, to say the least. Often machines and critical spare parts must be stored for years in a “ready for operation” state. 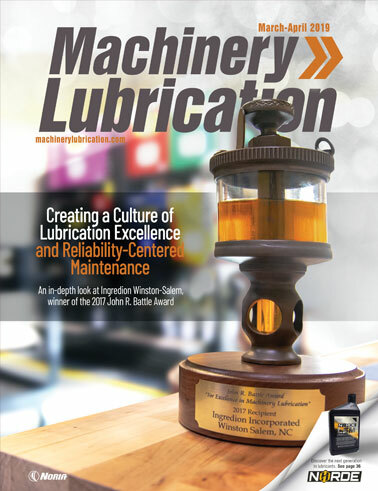 Several articles have been published in Machinery Lubrication magazine on maintaining idle and standby equipment. This is serious business to protect your investment and more importantly to sustain a state of readiness. Without a doubt, the central enemy for this type of equipment is water that condenses, settles, puddles and corrodes. Therefore, from the standpoint of inspection, looking for water entry points and the presence of invaded water is high on the list. The ability of a lubricant’s additives to suppress corrosion is largely neutralized when additives are unable to circulate. For numerous reasons, water is rightfully the scourge of stored and idle machines and spare parts. Many types of machines are internally flooded with oil during storage to minimize air movement between the headspace and the atmosphere. This also keeps internal surfaces oil wet, which would otherwise be exposed to condensation and other atmospheric contaminants. In gearboxes, these surfaces would include all bearings, internal shafts and gears. Because of hydrostatic forces, these flooded machines are prone to leakage over time, often through gaskets and lip seals. All evidence of leakage, from dampness to oil puddles, should be noted and corrected. All shafts and couplings have protective coatings still in place. Lube lines and components are tightly sealed (caps, plugs, etc. ), and hatches and covers are battened down. Reservoirs and sumps are clean and free of water and sludge. Shafts are being rotated frequently. Dirt and other debris have not accumulated on exterior surfaces. Parts and small assemblies are sealed (e.g., plastic sheets/bags) and oriented correctly (i.e., vertical versus horizontal), including hydraulic cylinders, bearings, gearboxes, pumps, etc. Storage areas do not expose spare parts, assemblies and stored machines to vibration. 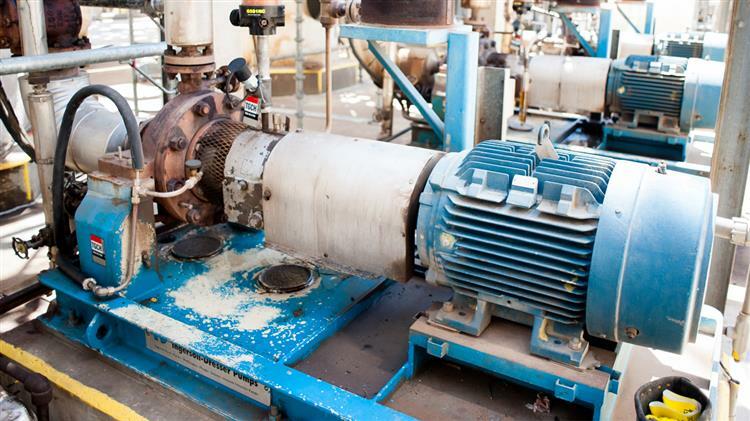 It is frequently said that the time a machine is most prone to failure is just after commissioning, major repairs or teardown. These episodes are critical states of change, and change presents risk from the standpoint of machine reliability. There is also the human element. When operators, mechanics and maintenance workers alter a machine, it is often difficult to precisely return it to the previous operating state. Any kind of intrusive event, despite all good intentions, presents danger. Before tearing down any machine, there must be a compelling need. Explore all non-intrusive options first. Don’t overlook the need to pull samples frequently and run onsite checks for cleanliness levels and wear debris. Typically, there is no need for a lab to perform these checks. Many different field methods do an adequate job, including patch testing, the Durban method and blotter spot testing. 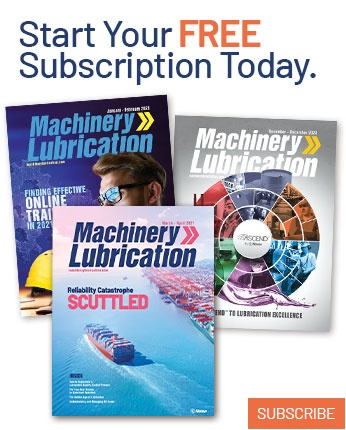 I’ve covered this subject in the last several Machinery Lubrication articles. Yes, there is a difference between Inspection 2.0 and conventional practices. An enhanced state of reliability demands an enhanced state of operator involvement. It is not just about quickly looking at a machine, but rather it’s about examining the machine frequently and intensely with a skilled, probing eye. For all “bad actor” machines under your care, there is a critical need for Inspection 2.0 vigilance. These are the machines that are pushed beyond their design limits. They are most responsible for business interruption and lost production, as well as for 80 percent of the costs of downtime and repair. Stop inspections allow you to access those hard-to-reach machine conditions and frictional surfaces. Of course, as previously mentioned, you should avoid all unnecessary invasions that can introduce a root cause for failure. That said, you often can safely gain access to gear teeth, sump walls, couplings, shaft seals, bottom sediment and water (BS&W) bowls, magnetic plugs, bearing clearances, etc., for a brief look at the condition. Cameras, including borescopes, may be helpful. What are rebuild shops teaching you about the causes of failed electric motors, cylinders, gearboxes, pumps, etc.? Do you receive inspection reports from these rebuild shops on what they find when they open up your failed machines? Do they give you guidance on prevention? If so, how is this knowledge (feedback) used to improve your maintenance practices today? Do you procrastinate when it comes to performing needed breakdown autopsies? Once operation has been restored to your process or machine, do you fail to investigate the cause of the failure? Does it take three or even four similar failures before action is taken to seek the cause? 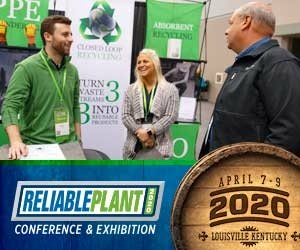 Besides the search for failure root causes, do you use the opportunity to inspect other wear zones and machine surfaces? How about used filters, strainers, sump floors, seal condition, corrosion, journal bearings, etc.? Does your organization have assigned responsibilities for failure reporting, analysis and corrective action system (FRACAS) activities? How about root cause analysis? One of the problems with repair inspections and failure investigations is that the people assigned to the task are often the same people who are directly or indirectly a target for blame. Asking a maintenance organization to find fault in itself has inherent challenges for which there is no easy solution. Part of the answer is culture. Building a culture of continuous improvement and not a culture of blame and finger-pointing goes a long way. We all make mistakes. How can we learn from them? I’ve detailed the five states of machine Inspection 2.0. How does your reliability organization compare?